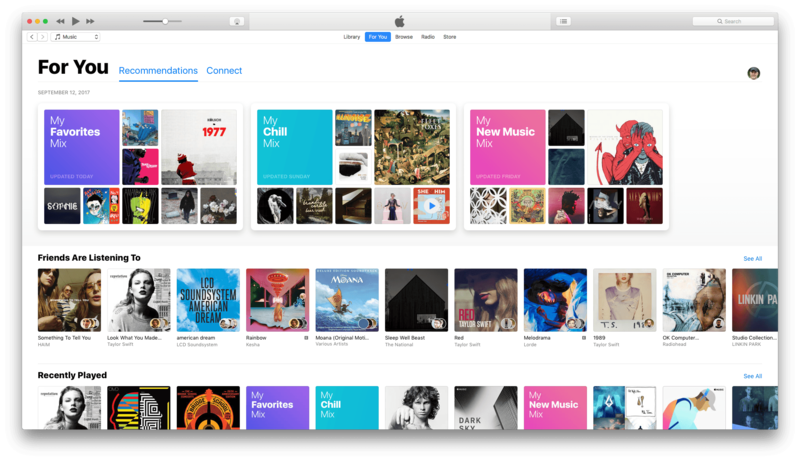 iTunes 12.7 now includes music, movies, TV Shows, Podcasts, and Audiobooks only. Apple’s support page links to instructions on how to download each type of content that has been eliminated. Although there were prior indications that Apple was streamlining iTunes, such as when it announced that iTunes U content was being eliminated from the app, the removal of downloaded iOS apps and the App Store itself is surprising. 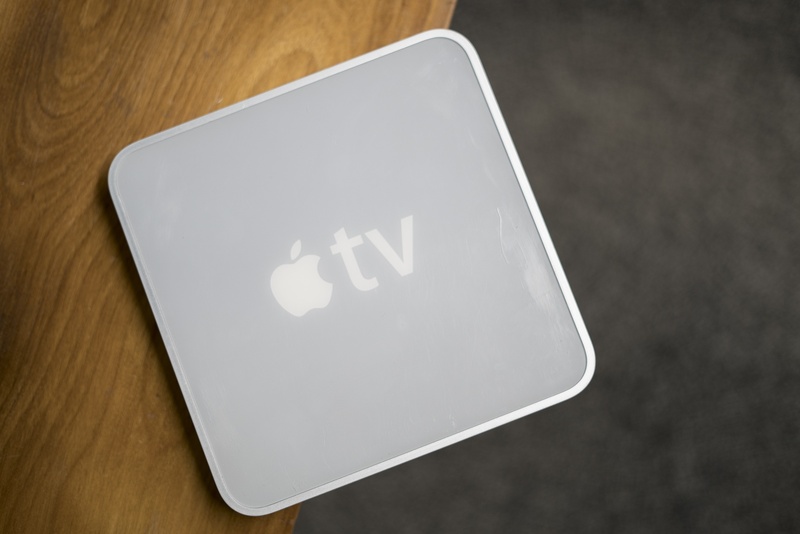 iTunes is now focused on just two types of media audio and video. The update to iTunes also adds the Friends feature first seen in the iOS 11 beta. Apple Music subscribers can set up a profile and follow friends to see the music and playlists they are listening to. I’ve been using the Friends feature all summer and it’s been a great way to find and try new music. Paying with PayPal is simple. Customers with a new or existing Apple ID can select “PayPal” as their payment method from their account settings in the App Store, Apple Music, iTunes [and iBooks] from their iPhone, iPad, iPod touch and Mac, or on iTunes from their PC. After PayPal is enabled, purchases from the selected Apple ID will be made from the customer’s PayPal account. Adding PayPal should expand the universe of customers making purchases from Apple’s stores by creating an alternative for people who don’t have or don’t want to use a credit card. Apple published its annual 'Best of' picks for 2016 in early December. Today, it posted a short video highlighting some of those picks, including apps, games, music, movies, TV shows, books, and podcasts. Losing AppleScript and automation features altogether would be a horrific loss for the Mac. However, I don't think that's going to be the case. Like Jason Snell, I believe today's Apple finds this stuff uninteresting and "vintage"; rather than removing it, I feel like they'll stop pretending they care about it, just as they did for Dashboard. Which isn't an ideal scenario either, but between two poisons, it's the one I'd pick. See also: Dr. Drang back in 2013, 'When and why I automate'. SoundShare is designed to bring music lovers together regardless of the streaming services they use. I reviewed SoundShare back in May when it launched a big update and since then, Matt Abras has continued to refine and improve the app with a series of updates. 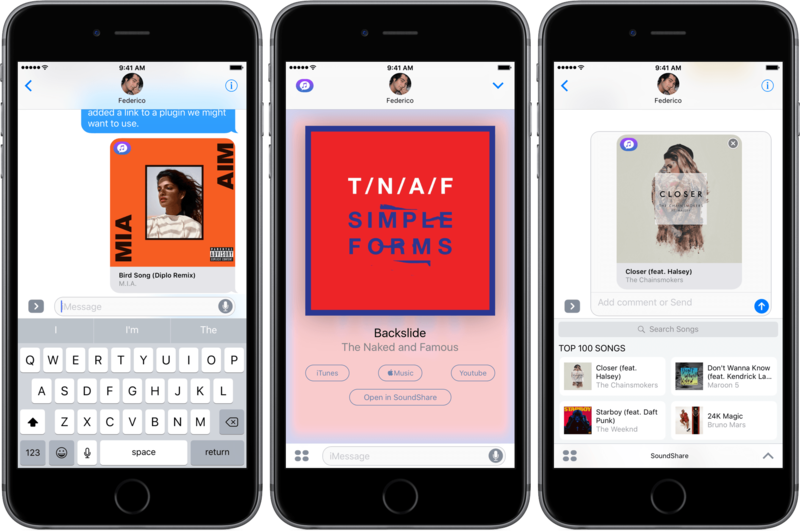 Today, SoundShare released an update that includes a great iMessage app. From SoundShare’s iMessage app, you can pick a song from among the iTunes Top 100 list or search for something else using the search bar at the top of the iMessage drawer. Tapping a song adds album art, the title, and artist to a message ready to send with or without a comment. What makes SoundShare’s iMessage app so handy is that when your recipient taps on the album art, it opens full screen with options to open the song in iTunes, Apple Music, YouTube, or the SoundShare app. This isn’t the full compliment of services that SoundShare works with, but the others (Spotify and Deezer) can be accessed through the ‘Open in SoundShare’ option. That opens the SoundShare iOS app and immediately starts playback of the song with one of those services if you are logged into them through SoundShare. We have started to see some interesting iMessage apps a month into the iMessage App Store that take advantage of platform. SoundShare is one of my favorites so far because it removes the friction of sharing music. I can send a nicely formatted link to a song without thinking about whether the person on the other end of my message has the correct service to play it. SoundShare is iPhone-only and can be downloaded for free on the App Store. I like this idea, and could see myself subscribing to some Spoken Editions when it expands to other publications, particularly those in Australia. I listened to a few Spoken Edition articles, and whilst the recording quality was generally quite good, I was a little surprised to hear some obvious pronunciation errors and general reading mistakes which hadn't been edited out. The Spoken Editions are featured on the front page of the Podcasts section of the US iTunes Store, but they are also accessible via this link (which will also work even if you are outside the US). 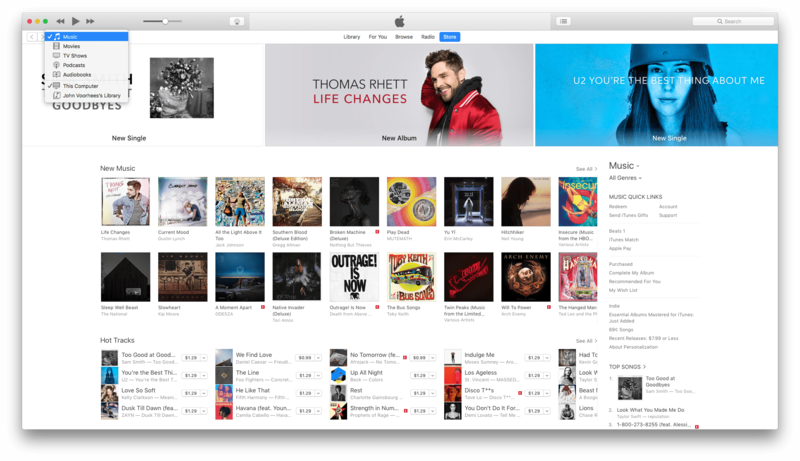 Apple released iTunes 12.4 today with various design enhancements. iTunes 12.4 brings the sidebar back to the left side of the app when you are navigating your library of media, whether that’s music, movies, TV shows, apps, podcasts, or audiobooks. The sidebar is hidden when you navigate Apple Music, the App Store, and the iTunes Store. Apple has also redesigned the media picker that sits just above the sidebar. Previously the picker consisted of a row of icons representing each media type and could be edited to include only the media types you wanted to show. The new media picker is a dropdown menu that like its predecessor is editable, and adds the name of each type of media next to its icon. Music is the one media type that cannot be removed from the media picker. iTunes 12.4 also includes simplified menus. It is not clear from the release notes whether iTunes 12.4 includes fixes related to a recently-reported bug that deleted music files from iTunes in rare circumstances that Apple has been unable to reproduce. Today’s updates also include a minor revision to OS X. Version 10.11.5 of OS X “improves the stability, compatibility and security” and addresses a handful of enterprise-related issues.